This post was sponsored by Circulon. All opinions expressed are my own. The holidays are right around the corner and what I’m most excited about is the food. I love to have all the classics on my table – ham, sweet potatoes, collard green, stuffing and cranberry sauce, but from year to year I revamp it a bit. One thing that always stays the same is simplicity; with so many dishes to prepare I find it best to stay away from lengthy recipes and ones that are too complex. My ultimate goal is to wow my guests with dishes that are easy enough for the novice cook to execute. 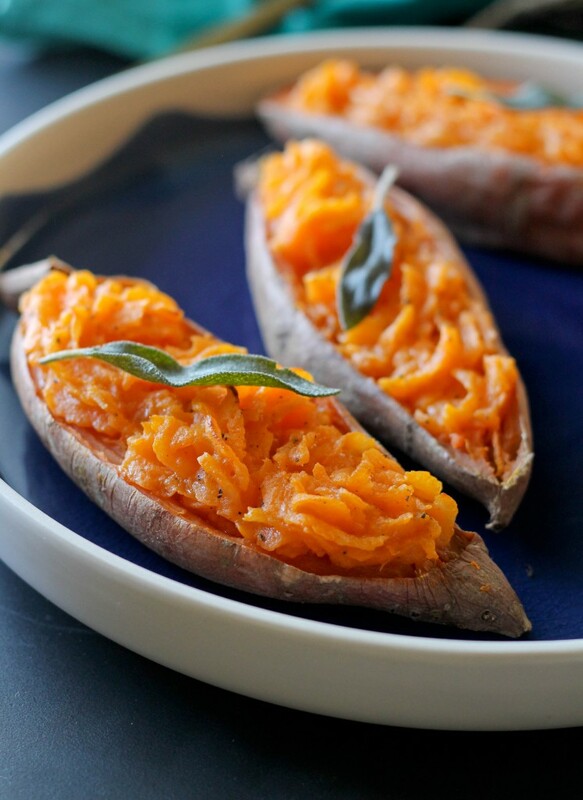 I love sweet potatoes and decided to put a spin on it this year with these twice baked sweet potatoes – gruyere cheese, rosemary and sage strays away from the classic sweet dish and gives it a savory flavor. The sweet potatoes are roasted in the oven using Circulon Ultimum Collection which features ULTRA TOTAL® nonstick system with premium triple-layer nonstick that’s safe in the oven for up to 500 degrees! What I love about this set is the fact that it’s super easy to maintain; it’s stainless steel base makes it durable, it’s dishwasher safe and is suitable for all cook tops including induction. 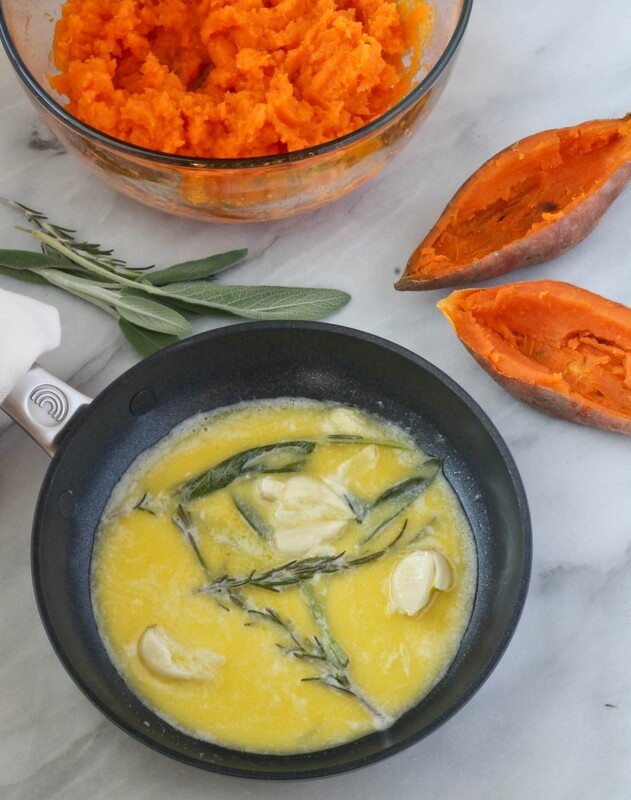 Once the sweet potatoes are roasted, I remove most of the inside and mash with butter and cream that’s infused with rosemary, sage and garlic and a generous amount of gruyere cheese. I placed it back into the oven for a second time and the aroma that filled my kitchen was nothing short of amazing! Not only do these look, smell and taste amazing, it’s super easy and would be stunning on any holiday table. Head on over to Circulon’s website for the full recipe and more by click here and be sure to follow Circulon on Facebook, Instagram, Pinterest and Twitter. A winner has been selected! Please check your email and respond within 7 days or a new winner will be chosen. In the spirit of the season I will be giving away a Circulon Ultimum Collection 11 Piece Cookware Set valued at $399.99 which is available exclusively at Kohl’s! This giveaway is open to US residents only. *Winner has 1 week to claim prize. If prize is unclaimed then another winner will be chosen. Hope I win the giveaway! Trying this for Thanksgiving for sure! Thank you. That Circulon set is amazing?!! Hands down one of the most informative blogs out here. Love you Jehan! My boyfriend loves your Instagram any youtube. He’d never enter so im entering because I know he’d like the cookware and he loves cooking. This looks so yummy, I need to read this blog again extra slow. I do not have a Facebook however I’ve been a fan of your recipes as soon as I stumbled upon your IG! I consider myself an aspiring home chef so I love finding women cooks to contribute to knowledge in the kitchen not to mention you also being West Indian but from another island I’ve found some things I liked on your blog that I didn’t grow up eating but currently enjoy. I’ll be moving from NJ to Long Beach, CA in January and would love this cookware set in my new home! This s awesome. I love cooking especially around the holidays. Done!!! Send me some pots!!! 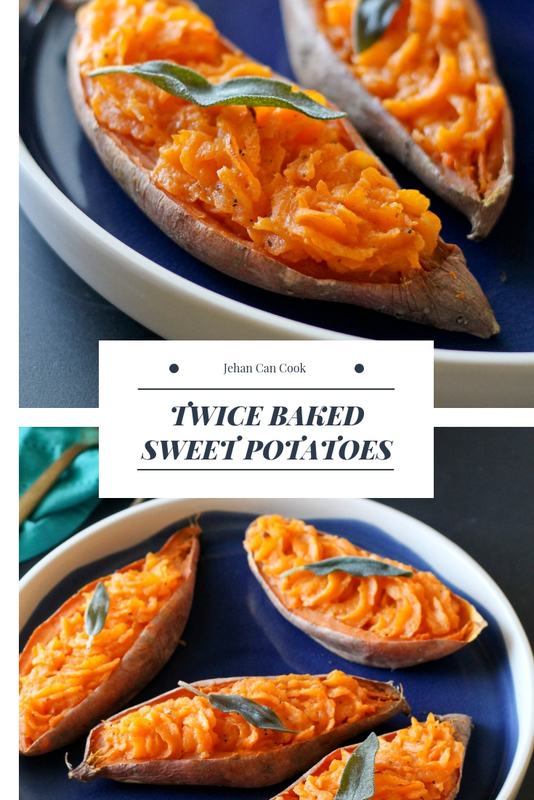 I LOVE sweet potatoes as well and will definitely be giving this recipe a try! Finally made it to Guyana ? ?, hubby’s homeland, this summer and acted like tourist seeing all the sights. Bucket list item ✔. Stumbled upon your IG page recently and have been loving the recipe’s you’ve been sharing. Nothing I ever cook looks like the recipe pic, lol, maybe this cookware is the missing piece ?. Will Try This Sweet Potato For Thanksgiving!!!! Recipe looks devine as always! Presentation is on point! Those sweet potatoes look good enough to eat through the computer lol! Followed/subscribed! That recipe looks fantastic, and so does the giveaway! 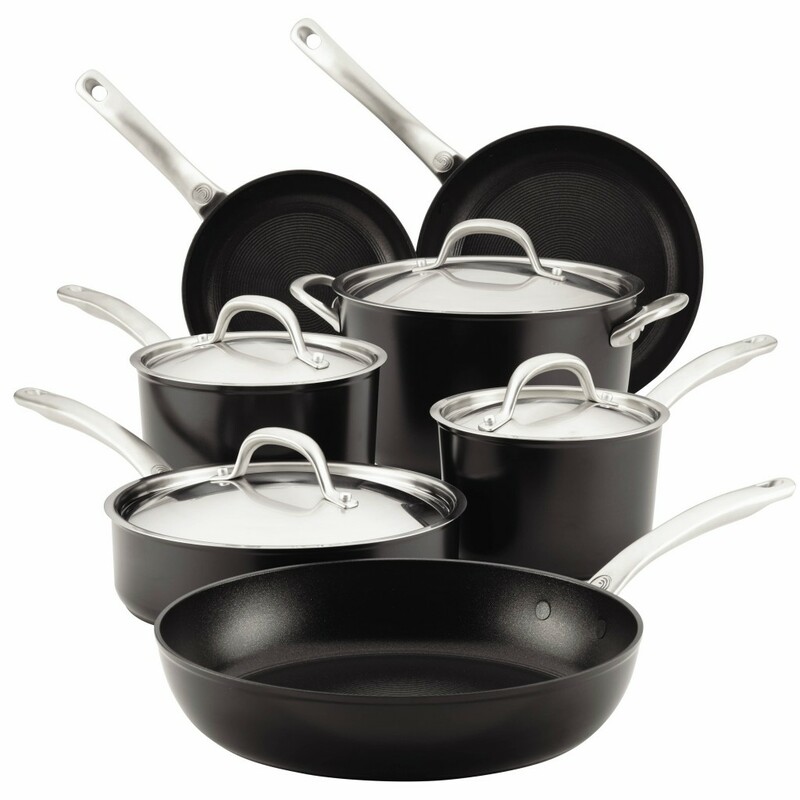 Awesome giveaway these pots and pans look like they will last a lifetime! Ok. Really, really, reaallllyy didn’t want to do instagram, but for this, I cave. One of the best pot set ever,????????????? Beautiful sweet potatoes and awesome giveaway! Thanks. Happy Thanksgiving! I’m following all and thank you for the chance!! The sweet potatos look so yummy!!! 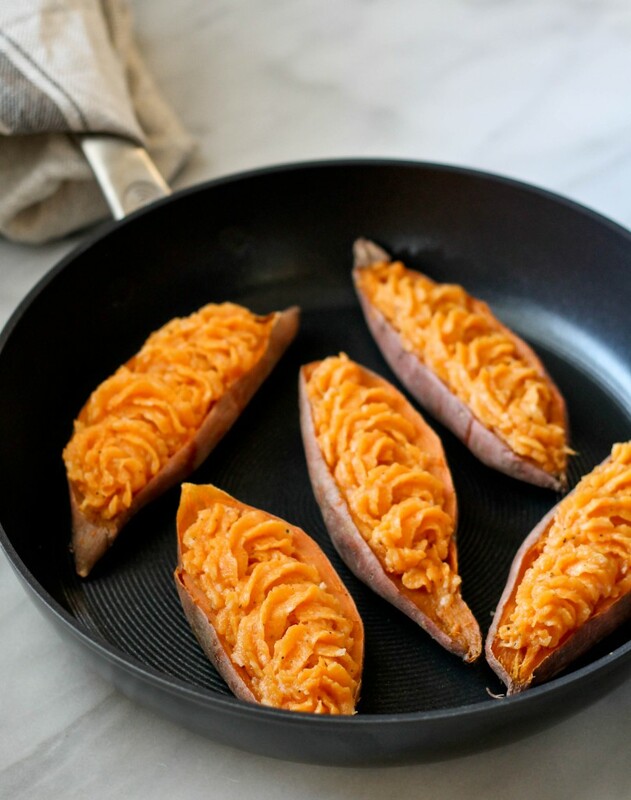 I love sweet potatoes and these look delicious. I am indebted to you and your blog for helping me to recreate some Guyanese food memories. Thanks! I’d love to start the new year with some beautiful new pots. I love your recipes and so happy that you even reply back to emails promptly when asked questions! Thanks so much for posting great recipes ! Love your recipes, so I can’t wait to try this one. Also super excited that you did the roti video. Entered the giveaway. Your recipes are always a joy to try and I’ve never been disappointed. Thanks for all that you do, thanks for taking the time to share with all of us. Love your posts! Thank you for the chance. 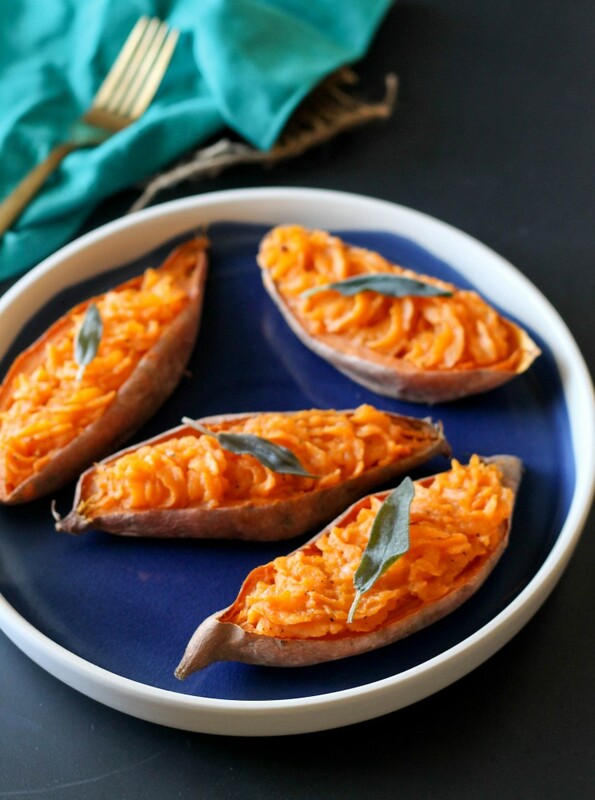 The sweet potato dish looks so delicious and easy to make! I will be adding it to my solo thanksgiving this year ? Your recipes are so easy to follow and the end product is nothing but amazing. Can’t wait to try this recipe for Thanksgiving! Hope I’m lucky enough to win this giveaway!!! Followed Circulon and was already subscribed to you. Would love to make the sweet potatoes in that cookware! Entered! Hope I win…I never win anything haha!!! Done! thanks fot the chance! Love your blog! Will be subbing candied yams for these bad boys on Thursday. Thanks for the inspiration. Waiting to see more. I completed all steps. Thanks. Entered! Can’t wait to try this recipe! This recipe looks like a must try! And I hope to win the pot set! This site has made me a better cook. Love that I can continue to prepare traditional guyanese dishes for my family. Continue the great work!!! I’VE ENTERED … good luck to all. ? Entered! Would love to cook Christmas dinner with my daughters with these!! When I first began cooking your recipes were a lifesafer ! This sweet potato dish was such a hit this morning for my friends ! Thank u , thank u ! For putting so much time , love and effort into all of these recipes ..
What a generous giveaway ! I would love this set ! Tried your chicken chow mein recipe today and it was delicious. Also, I always Google guyanese recipes and click on your link of course!! Great recipe! I hope I can make it with the cookware giveaway. Love to win the giveaway!nice pot set for making all of your nice recipes. Michele the winner was announced and notified. The name of the winner is in this post.